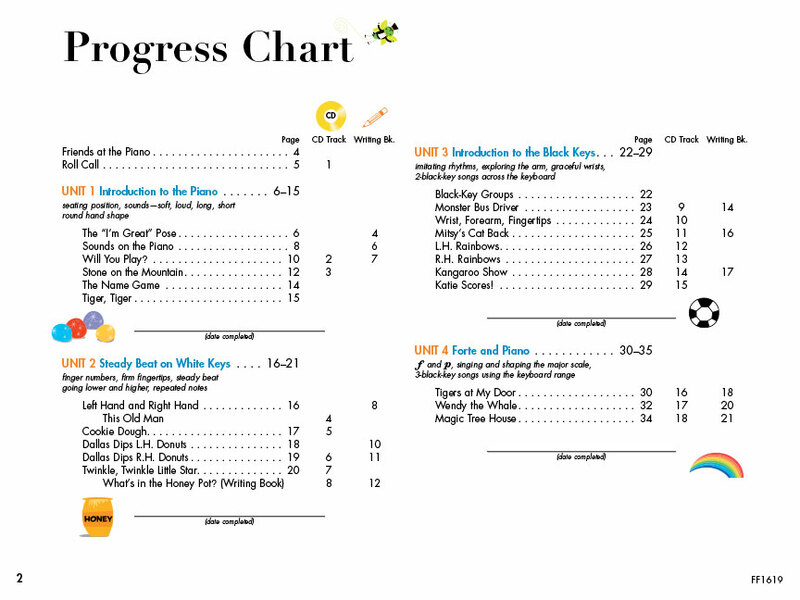 Written for ages 5 and 6, My First Piano Adventure® captures the child’s playful spirit. 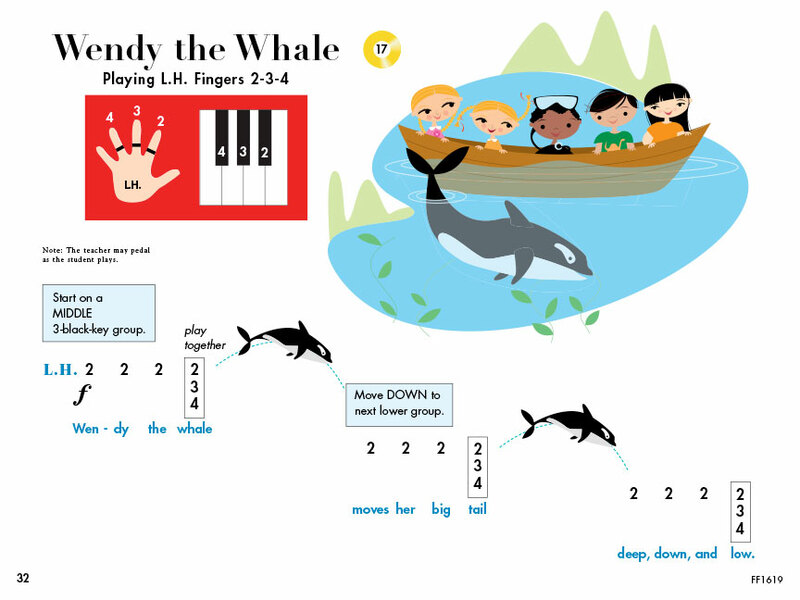 Fun-filled songs, rhythm games and technique activities develop beginning keyboard skills. 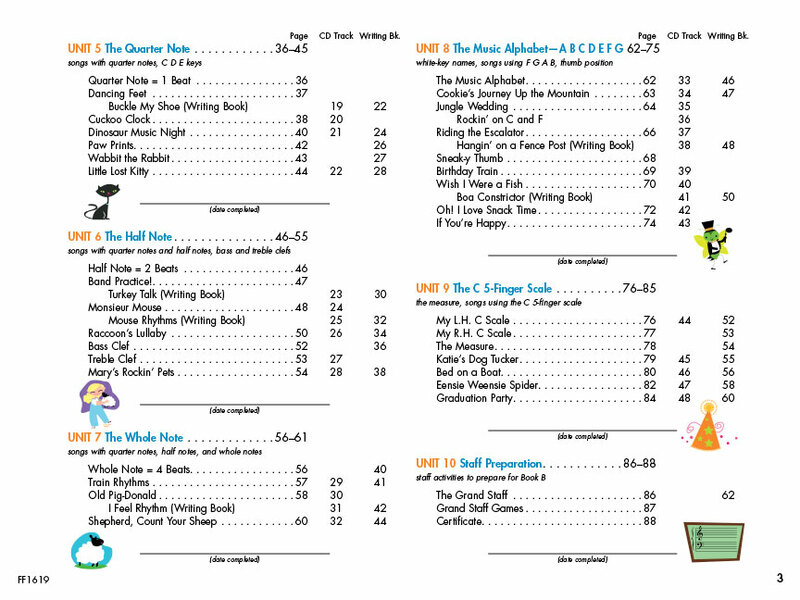 Three distinguishing features of the Lesson Book A make it unique and effective for the young 5-6 year old beginner. 1. 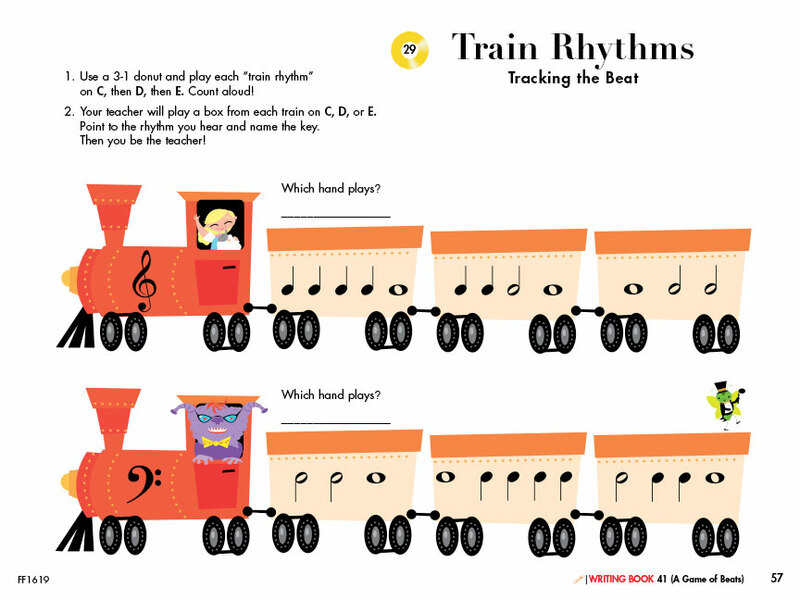 A strong focus on technique embedded in the book through playful technique games, chants, and carefully-composed pieces that gently lead the child into pianistic motions. 2. An outstanding CD for the young student to listen, sing, tap, and play along with at the piano. The orchestrated songs on the CD feature children singing the lyrics, which has great appeal to the 5-6 year old beginner. The CD becomes a ready-made practice partner that guides the student and parent for all the pieces and activities in the books. 3. The fanciful art features five multi-cultural children who are also learning to play. 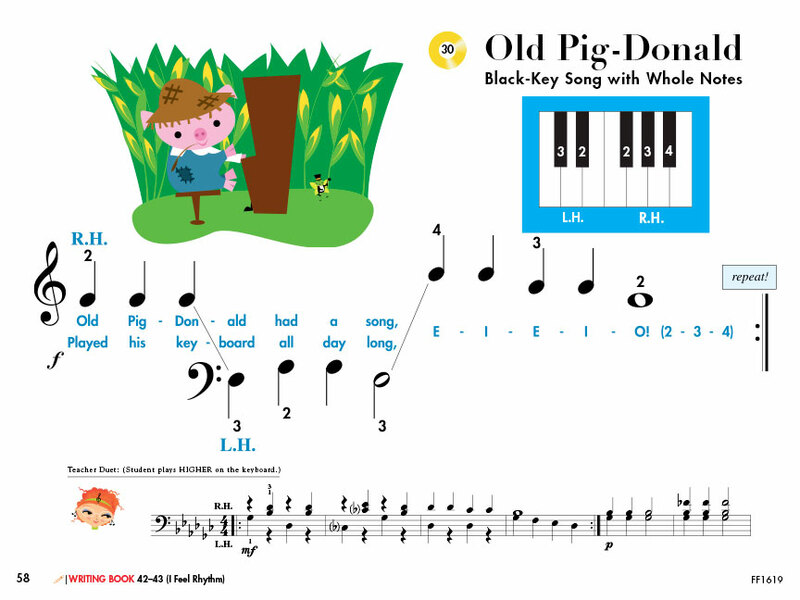 These friends at the piano introduce basic rhythms, white key names, and a variety of white and black-key songs that span classical, folk, and blues. 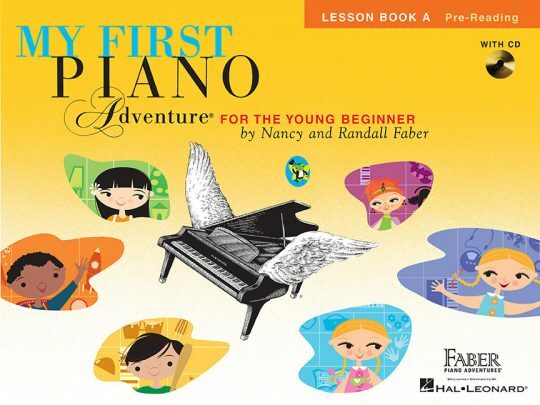 Young students will listen, sing, create, and play more musically with Nancy and Randall Faber s My First Piano Adventure, Lesson Book A. 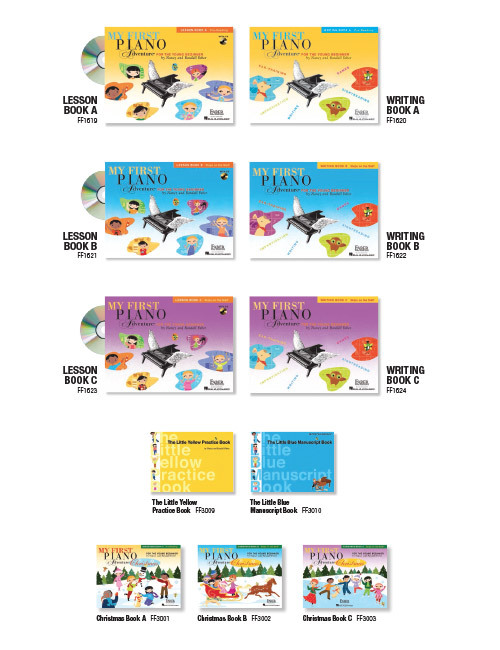 The Lesson Book introduces directional pre-reading, elementary music theory and technique with engaging songs, games, and creative discovery at the keyboard. Young students will enjoy the multi-cultural “friends at the piano” who introduce white-key names, basic rhythms, and a variety of songs which span classical, folk, and blues. Ear-training and eye-training are also part of the curriculum. The Fabers’ instructional theory “ACE” – Analysis, Creativity, and Expression, guides the pedagogy of My First Piano Adventure. Analysis leads to understanding, creativity leads to self-discovery, and expression develops personal artistry. The CD for this book offers a unique listening experience with outstanding orchestrations and vocals. 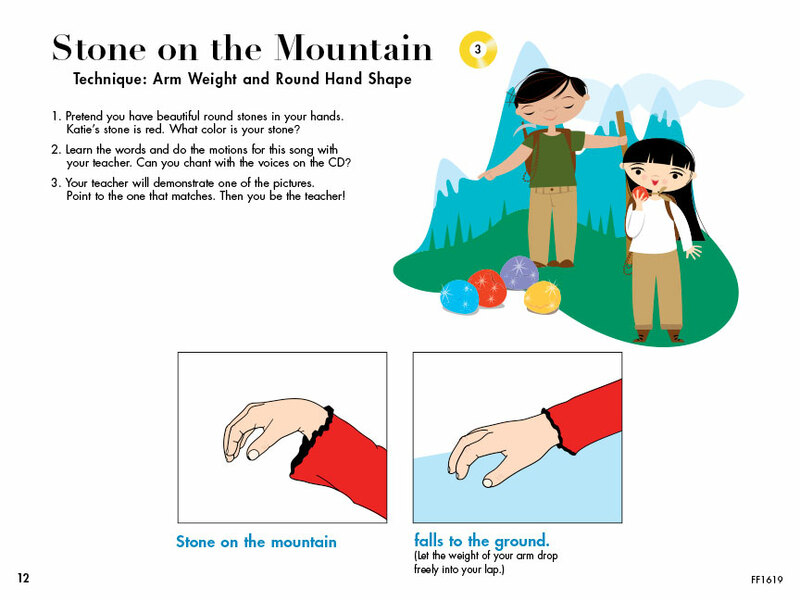 The recordings demonstrate a key principle of the course: when children listen, sing, tap, and move to their piano music, they play more musically.